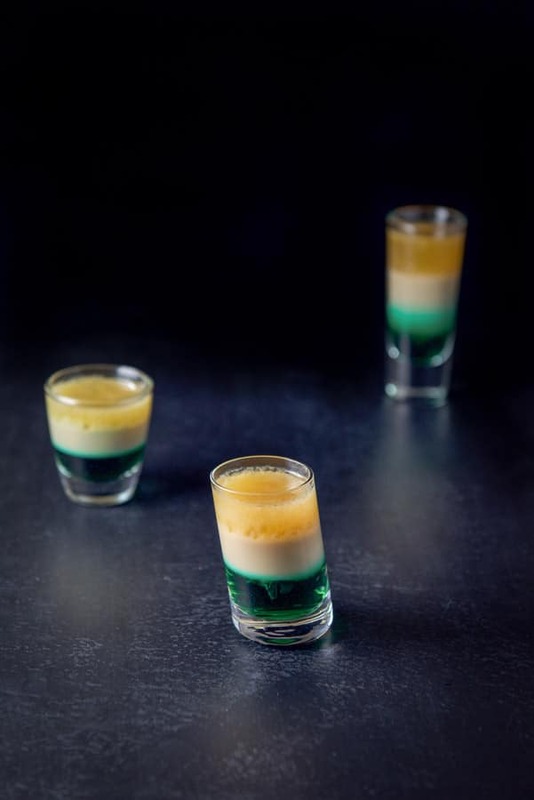 If you like creme de menthe, you are going to love this Irish flag shot! 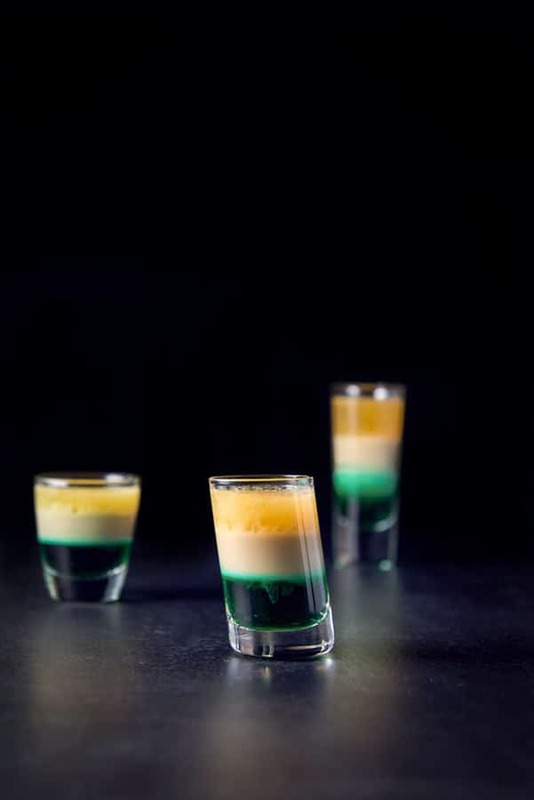 It’s a fun and delicious layered shot that is wildly popular around Saint Patrick’s Day (March 17). But don’t let that deter you from drinking it any other day of the year. I’ve already stated that I don’t particularly like creme de menthe. It’s not that I don’t like the taste of mint. I do! To prove it, my favorite ice cream flavor is mint chocolate chip. 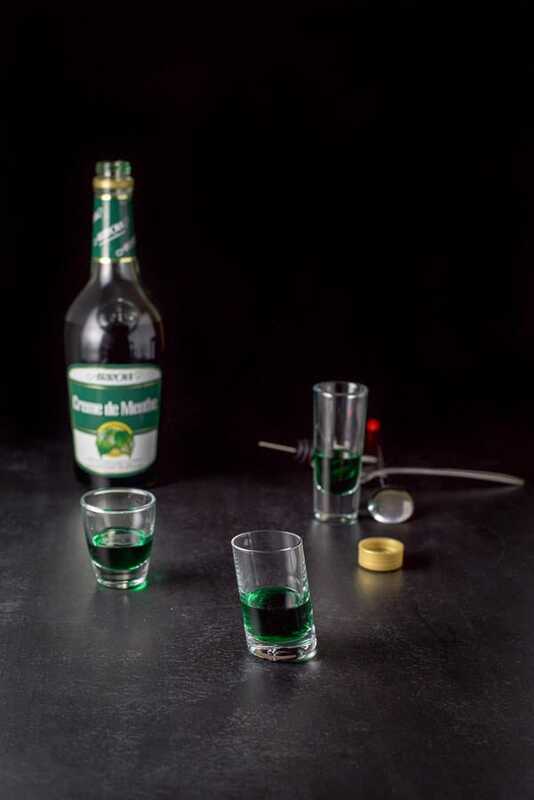 But when it comes to this Irish flag shot, the combination of the ingredients lessens what I think is creme de menthe’s cloying quality. 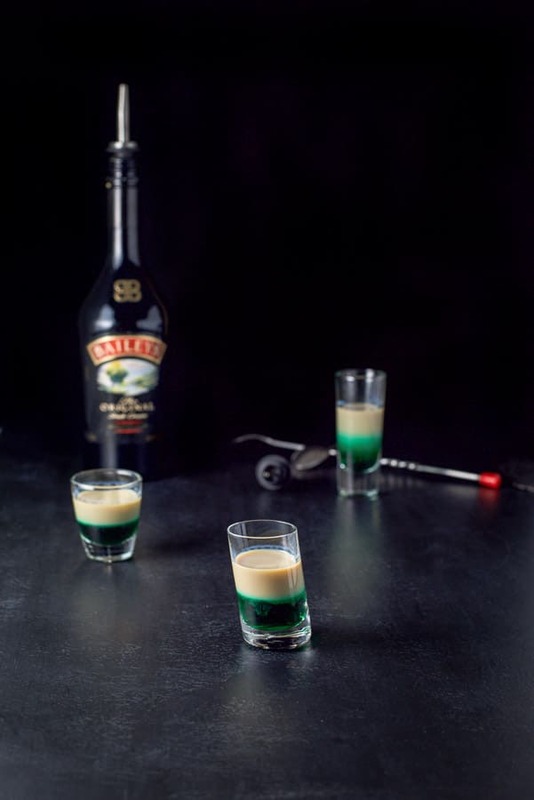 People who love mint and creme de menthe, LOVE this layered shot. They also go crazy over the grasshopper cocktail and the After Eight shot. As you probably guessed already, this shot was named after the color combinations of the Irish flag and that’s why it’s important to use green creme de menthe and not the white version. 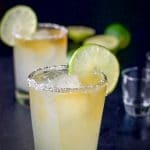 This recipe is for one layered shot. If you are making more shots, just multiply the ingredients by how many shots you are making. 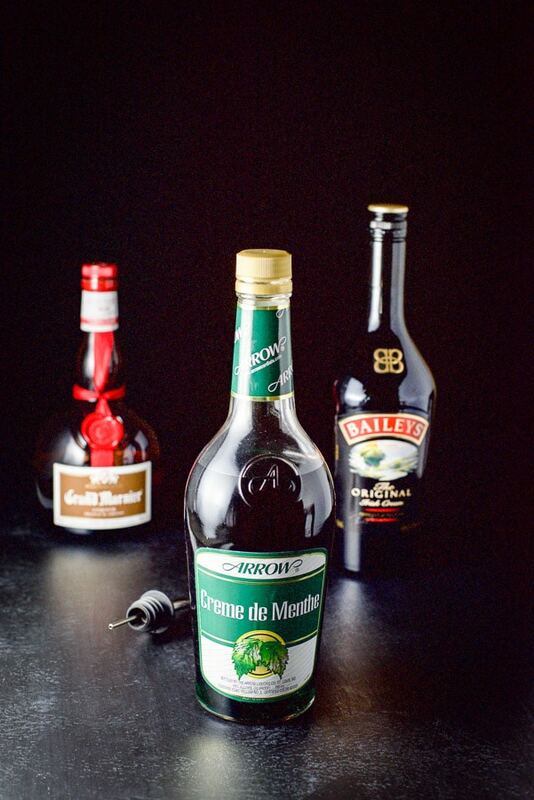 Gather the ingredients – green creme de menthe, Baileys Irish cream and Grand Marnier. Also get your shot glass, pourer and cocktail spoon. Pour green creme de menthe 1/3 of the way up the glass. Place the spoon in the glass again and pour the Grand Marnier slowly over the bowl of the spoon. 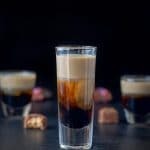 Now, I’ve said this before, but when I layer Grand Marnier as I do with layered shots like this B52 shot, I can’t get the Grand Marnier to separate fully without some cloudiness. But you know what? That’s okay. You can still see the layers. 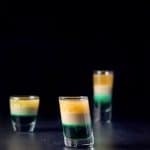 I hope you enjoyed this Irish flag shot recipe. 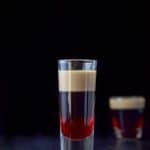 If you’ve tried this Irish flag shot or any other recipe on the blog, I’d love the hear what you thought about it in the comments below. I love hearing from you! You can also FOLLOW ME on FACEBOOK, TWITTER, INSTAGRAM and PINTEREST to see more of my delicious food and delightful cocktails! Originally published March of 2017. This looks so fun! I love the green color from the creme de mente! Yummy! Thanks for sharing! Love the colours in the shot glass. Looks nice. Wow, this is a beautiful shot! I love making special treats like this for the holidays! Even better is when I get a bunch of the girls together and we make them! Can’t wait to try this out! I hope you enjoy it Jessica! I’d certainly drink this on any holiday. My little Irish heart is swooning over it! ? I too, love mint chocolate ice cream but am not the biggest fan of creme de menthe! I thought I was alone in that Megan! Yay. Oh yes that’s my kind of shot! 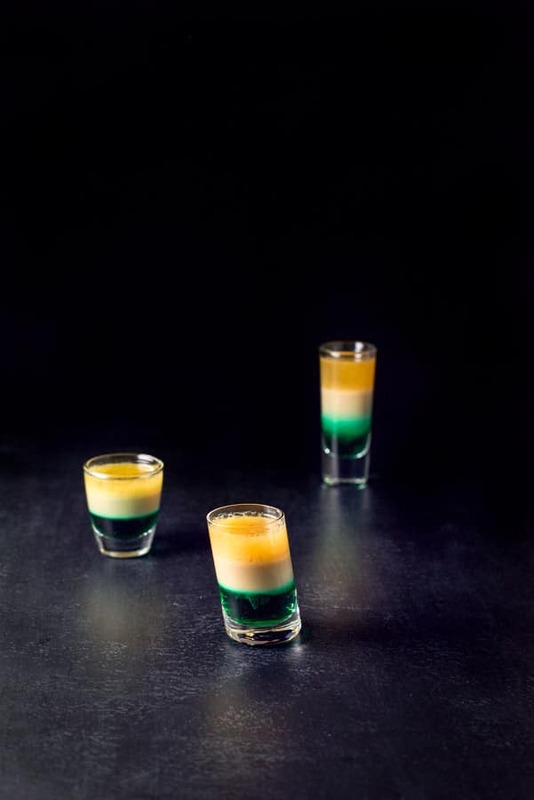 I would enjoy your Irish flag shot after a long and busy day. Such a fun little shot in emerald, who can resist right? Just what I was thinking Helene! Love the colors! I bet it is delicious! It is Christopher. Thank you! I’m the same! Love mint chocolate and this shot looks fab! Thanks a lot Haley! I appreciate it! Thank you Savita!! 🙂 Cheers! Cheers! What a great treat for the adults on ST Patty’s Day! Hehe. So true, Kaitie! Keep the kiddies away because they will want them because they are cool looking!! This is so fun! 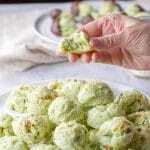 Now I wish I was having a St Patrick’s Day party because I know these would be the hit of the event! We love some minty chocolatey goodness too!! Holy cow girl, this shot looks like my cup of tea! Yay!! A kindred spirit! Thanks Jessica! I’m not Irish but I’m going to pretend to be!! This looks awesome and just in time for St. Patrick’s Day, too!! 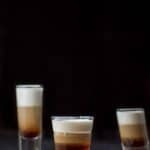 Elaine, you have absolutely mastered the layered shots, and have so many great tips for how to get a pretty and professional-looking result! Personally I’m a big mint fan so I’m all over these this weekend for St. Patrick’s Day! Woohoo, Monica! And thank you. I hope you enjoy it! How cool is this cocktail love the idea of making a flag and St Patrick’s day is a great opportunity to show off the green colors. Cheers amiga! Oh yum, looks so delicious! I actually love creme de menthe haha, I am a serial mint fan haha. This one reminds me a bit of a jellyfish shot, where you can put in a few drops of raspberry syrup or cordial to pull some of the thicker layers down into the clear bottom layer. So fun! Hehe! My family likes it, I think I’m the only one who doesn’t but I do like the combination of these ingredients together! Thanks Laura! This shot is so pretty with its beautiful layers, not sure of my layering skills but I’ll try my best! Just remember to pour slowly Patty! I’ll have to do a video to show how it’s done. Thank you!